Ruins Excavation is an anthology of short stories that are set in archaeological ruins. Published by Hadley Rille Books and edited by Eric T. Reynolds, Rose Reynolds and Emmeline Wolfe. My story is Searching for Peace. 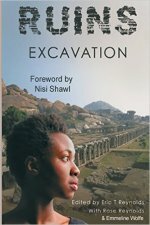 Ruins Excavation is available in paperback, Kindle and audio and can be purchased from Amazon and Barnes & Noble. 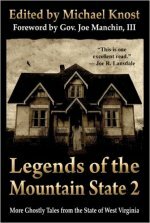 Published by Woodland Press and edited by Michael Knost, Legends of the Mountain State 2 is an anthology of spooky short stories that are set in West Virginia. My story is The Man in Ragged Blue.